We’ve been busy and it doesn’t look like we’ll be taking a break soon! 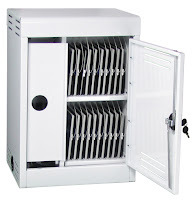 Spectrum’s newest product is the InTouch20 Secure Tablet Locker. We’re taking a good idea and making it smaller! Adding iPad, eReader or other tablet technology to the curriculum? 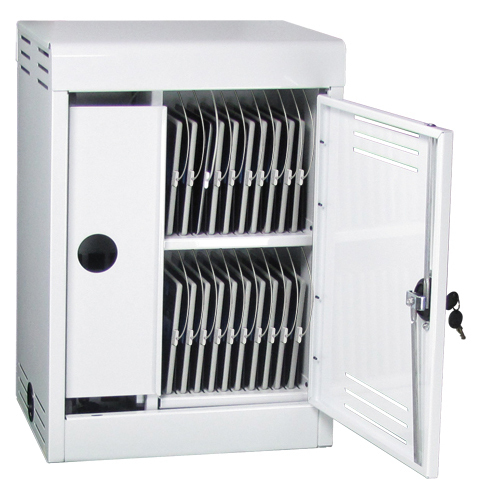 The InTouch20Secure Tablet Locker is the little cousin to the InTouch40 Tablet Cart and is just the thing for the small classroom. The wire management and numbered slots make organization and charging easy. With the optional Synchronizing Kit, apps can be added and the tablets synchronized. Security, charging and syncing all in a small footprint to fit in the small classroom! You can look to Spectrum for solutions whether you’re in the market for a lectern, desk and tables, or mobile computing storage and charging carts.